Water companies call for agronomist support | Get Pelletwise! Crop advisers from across the UK are being urged by water companies and the Metaldehyde Stewardship Group, to come forward and sign up to the ‘Get Pelletwise! Agronomic Updates’ system, which is being extended for 2016. 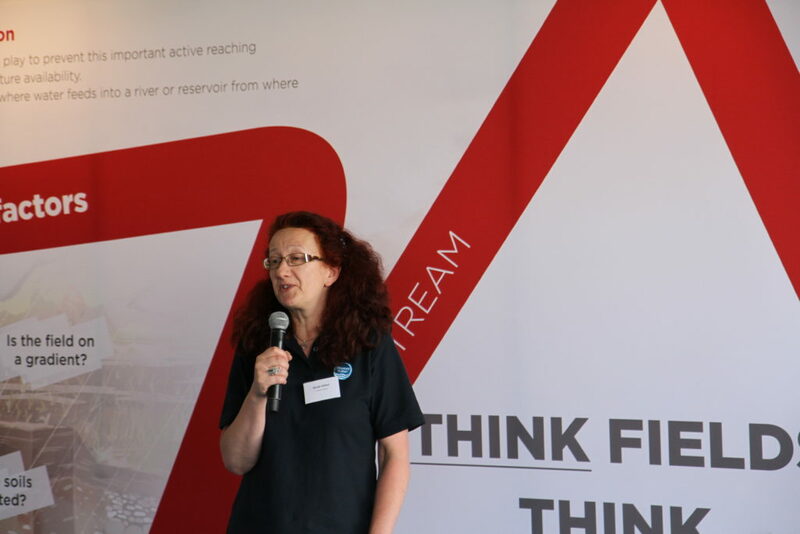 Talking on the Water UK stand at Cereals, Dinah Hillier of Thames Water and Simon McMunn, Metaldehyde Stewardship Group (MSG) spokesman, extolled the success of the system in 2015, well beyond initial expectation. “The online system that sees agronomists submitting weekly reports to water companies is quite simple in principle but the information provided is invaluable in terms of informing decisions surrounding ‘smart abstraction’ from rivers feeding into reservoirs, during periods when metaldehyde risks are highest,” says Simon. He explains how the weekly updates work. “Each adviser fills in a short online report outlining the local soil conditions, progress of drilling and crop growth, reporting the metaldehyde treatments that have been applied and that are planned imminently. He adds that from 10 water companies taking part in 2015, this has already increased to 14 so far for autumn 2016, illustrating the importance of the information supplied in the updates. Dinah Hillier explains how Thames Water benefitted from the agronomist updates during the autumn 2015 system. “We had 12 agronomists in the Thames region signed up to provide us with reports during the high risk period from September to the end of December and in total we received 100 individual reports,” says Dinah. “The reports allowed us to better predict exactly when metaldehyde was likely to be in the river and therefore when abstraction should be halted. My operational colleagues now have more faith in my decisions and I feel more confident in what I’m asking them to do,” she adds. Dinah says that a number of water companies will be practising smart abstraction again during the autumn 2016 season, the time of year when most metaldehyde issues occur, and for this reason, the ‘Get Pelletwise! Agronomic Updates’ will be a crucial resource. “Water companies need more information from agronomists in key counties to help them inform abstraction decisions. This information will be particularly important if the season turns out to be one of high slug pressure and metaldehyde treatment. “For this reason, we’d like as many agronomists as possible to come forward and offer their support and sign up to the ‘Get Pelletwise! Agronomic Updates’ system,” concludes Dinah.